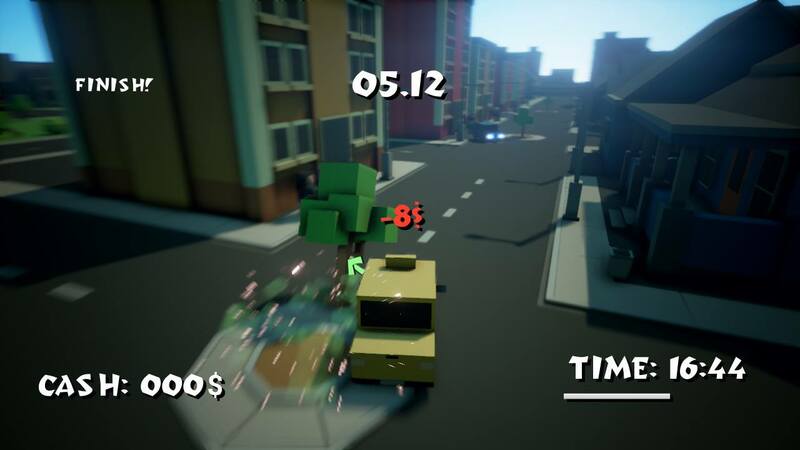 We haven’t had any graphics artist in the team so we decided to go with simple box graphics which can be easily manipulated in Maya. Basically the game have only one material with base color as parameter. Always create master materials as you can do global changes without need to click on each material. Thanks to really basic shader we avoided lightmaps which can be pain during jams as they are calculating some time. To reduce static shader cost you can disable Static Lighting in Project Settings. Static shadows was emulated as post process AO. Rest of the shadowing comes from one Directional Light. Only Directional Light cause shadows. Another advantage of fully dynamic lighting was day/night manipulation. To avoid over burned lighting we have added simple cube map to Sky Light. 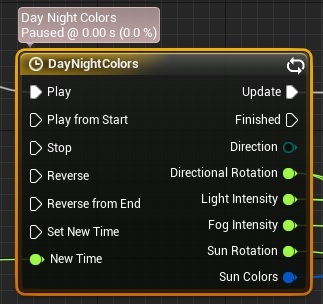 Cube maps was updated with day/night cycle as well. 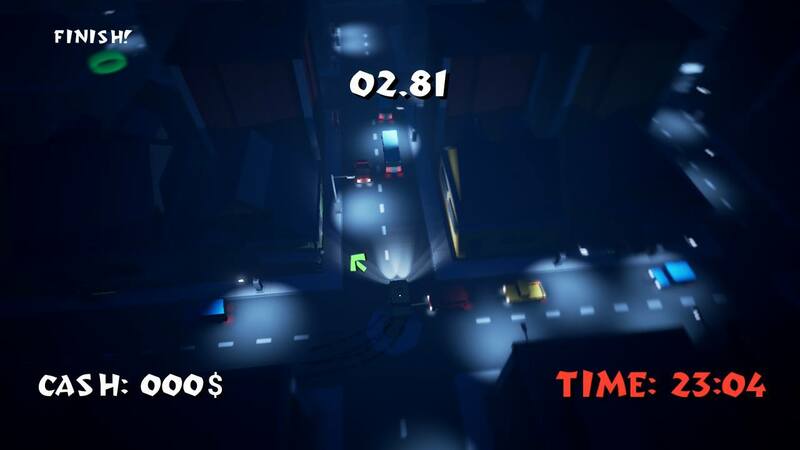 To avoid light overhead AI car lights was added as particle system which is super fast. Lamps lights can be created exactly like this. Only player car need to have spot light. We knew that we would need to create really big map and we haven’t any level designer. 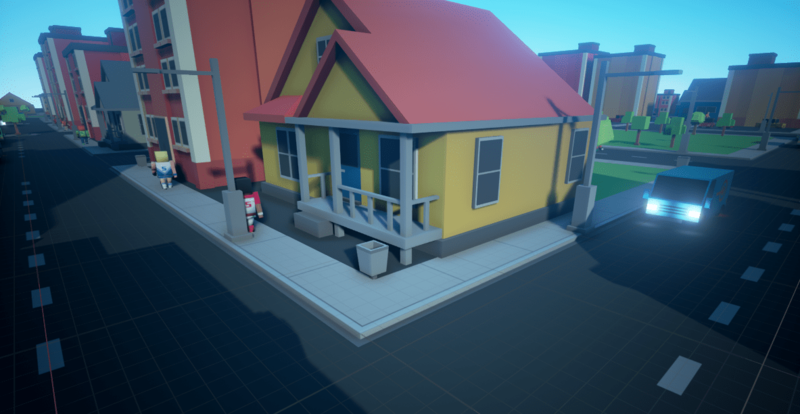 Thanks to UE4 tools we have scaled down the work needed. 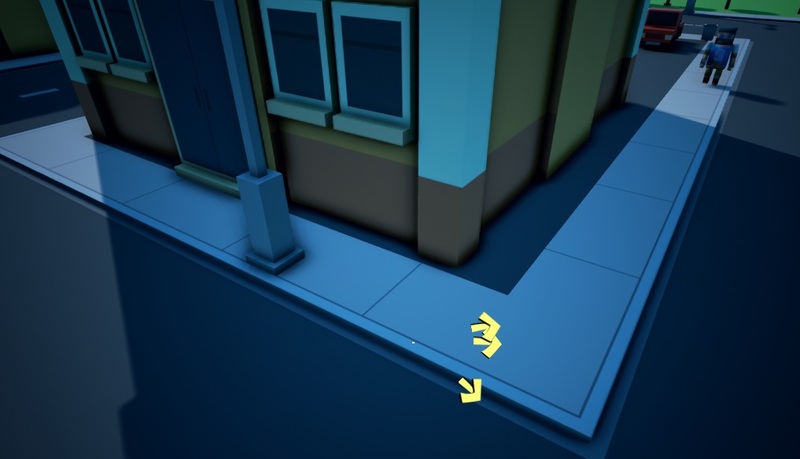 To do such thing you need to make sure your props/roads/buildings are using the same grid. Thanks to that we were able to create whole level in couple of hours. Another thing is that each gameplay element was added to those Blueprints as well. (roads, lamps, target points etc) so we haven’t “hard placed” anything in the level. It was easy to iterate later on. When implementing your own physics you need to make sure it’s updating with UE4 physics. We have added FloatingPawnMovement component and update theirs physics state depending on the custom 2d state. For movement we have used FloatingPawnMovement.MoveUpdatedComponent() with Sweep option to check if we are colliding with something. Easy as that! As you can see you can implement your own car physics using Blueprints in no time! We want to have a feeling that the City is alive and we only had 48 hours to do so. 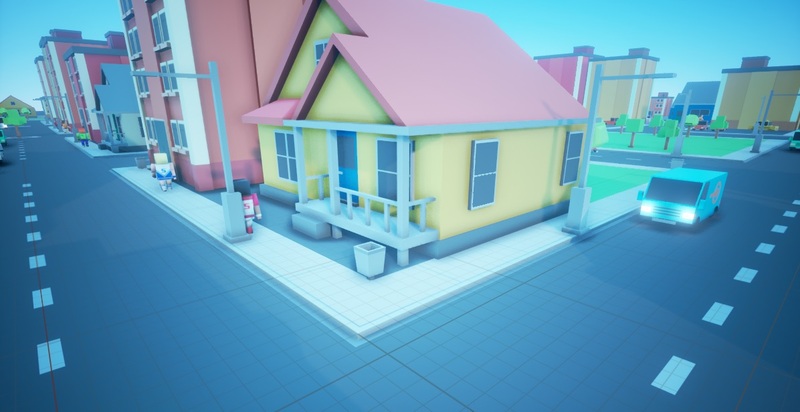 Again we used Unreal Engine 4 tools to make living city. Whole car / human movement was done using Splines. It isn’t using our player car physics. Instead we implemented simple driving model calculating acceleration, deacceleration, maximum speed and driver reaction time. We wanted to have some variation in AI cars. Cars are always checking if they will collide with something so they can drive through crossings as well. To be sure cars won’t stuck we are resetting whole thing when player is outside the view. 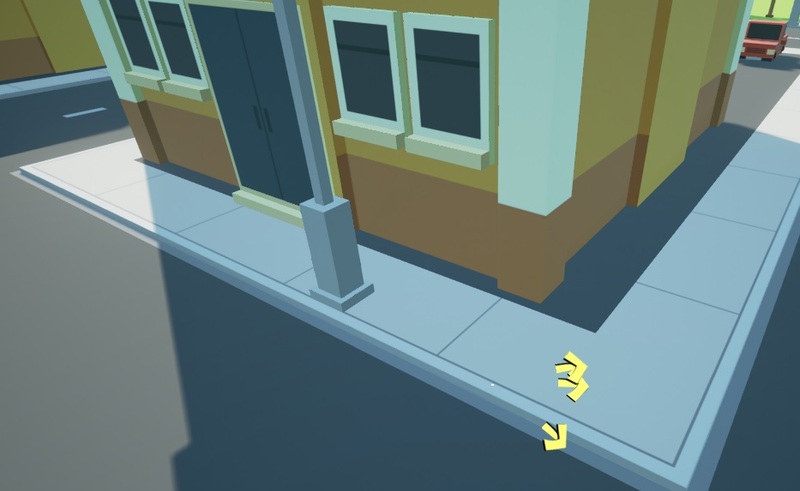 Humans was created with less movement detail but the same way – using splines. We have added some noise to spline movement so each human is moving different than other. Also he is checking if car is near, if yes – try to run 🙂 When hit just enable ragdoll. Simple as that. As for optimisation humans tick 2-3 per frame when not in viewport. 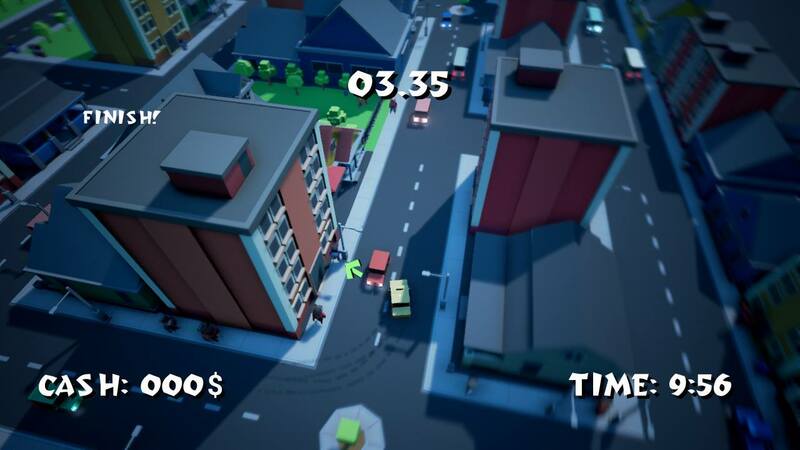 Game scope was big but when using Unreal Engine 4 tooset we were able to create such game in 48 hours. Hey, Would it be possible to release the level design tools that you used with this project? Wow what a cool tutorial! I really enjoyed this game! So much actually that I made a let’s play! You guys did amazing and hopefully we get to see more from you soon! Hi, thx for explanation, but can you show a little example about wheel skids on ground.